Government Senator Carlos James has called for greater focus to be placed on the elderly. James made the appeal while addressing a ceremony to honour senior citizens in the North Leeward constituency at the Cumberland recreational site last Sunday. 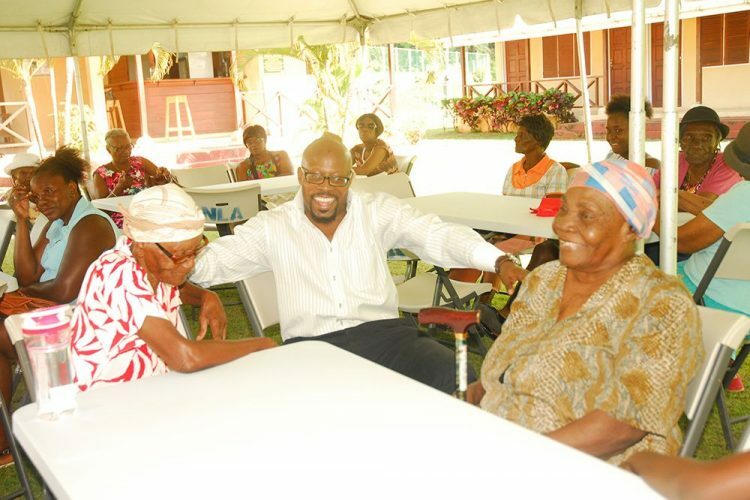 James, while lauding the Governmentâs efforts in increasing public assistance and implementing initiatives such as the âLives to Liveâ programme, noted that the country must double its efforts in providing the necessary support for seniors, particularly in rural communities. According to Senator James, the Government spends over $18 million annually on varying forms of public assistance, but a number of seniors are still not able to benefit, as the welfare programme is open to abuse. âClose to 6,000 Vincentians receive public assistance and while that figure is appalling, it is even more appalling that quite a number of those persons may not necessarily meet the criteria for the very assistance they receive, or there are cases of double-dipping, and while we grapple with this, we can identify eligible persons who are having difficulty getting assistance,â James stated. The senator further noted that the flagship âLives to Liveâ programme is one of the most importmoment ant social programmes the Government must find resources to continue. âWe have experienced vastly improved living standards and naturally we are going to see a growing aging population. Our social development planners are now pressed to do more to grapple with these changes, as the dynamics are very much different from decades ago,â he said. James noted that despite people living longer and healthier lifestyles, due to significantly reduced levels of indigence, there are still pockets of indigence, particularly in rural communities. âIn the year 2017, there are still seniors using outside bathrooms. We must double our efforts and find the resources to resolve these inconveniences. We have to properly provide for our seniors, because as a society, we are measured by how we treat our most vulnerable,â he said. The senior citizensâ Christmas luncheon saw over two dozen persons being recognized for their service and contribution to their respective communities in North Leeward. âYou have served your communities well and this luncheon symbolizes our appreciation and love for you. We appreciate your contribution towards building stronger communities in North Leeward,â James said.